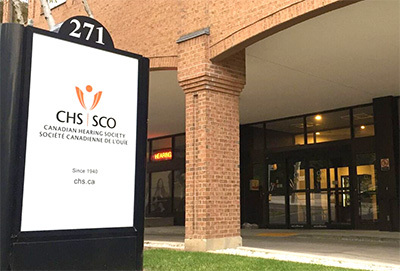 The Board of Directors of the Canadian Hearing Society (CHS) is committed to good governance and best practices in the oversight and advancement of this national non-profit organization. With a policy governance model, the volunteer Board fulfills its fiduciary responsibility, acts as good stewards of government and donor dollars and ensures that all revenues reach out and positively impact as many of CHS's constituents as is feasible. The Canadian Hearing Society is seeking applications / nominations for new members to join its governance Board of Directors. Click here to learn if these opportunities are right for you. The CHS Board is comprised exclusively of community-based volunteers. Board selection is skill-set driven and directors come from across Canada. Board members are recruited according to a matrix of criteria that reflect our strategic organizational plans, visions and goals. Directors on the CHS Board are considered members at large and do not represent any particular association, community council, region or constituency. The CHS Board sets strategy and long-term strategic mission, vision and direction for the organization, and scrutinizes the development process and plans for implementation. The Board's sole employee is the President and CEO, who is responsible for directing and executing the Board approved operating plans for the organization. The Board holds the organization in trust and is legally and financially responsible for CHS's well-being. Board members are responsible to attend and participate in quarterly board meetings as well as regular committee meetings. The Board's authority is established through the bylaws of CHS and additional procedural parameters are found within the board policies. While the Board establishes the strategic direction for CHS, the President and CEO is ultimately responsible for developing and driving the operational roadmap. With an annual Board approved business plan, budget and macro strategies, the President and CEO is accountable for all facets of CHS's operations and administration. As the most senior staff leader, the President and CEO is responsible for all elements and decisions regarding the financial plan, staffing, performance outcomes and deliverables for CHS. The President and CEO reports directly to the Board of Directors on a regular basis and works in collaboration and partnership with the Board to ensure the ongoing success and effectiveness of CHS's mission and vision.